Need a simple, yet sophisticated stamp to help get the job done? This 4 line stamp can be customized with your address (as shown), authorization credentials, personalized messages and more. Customizable text; modify and design your own with 4 custom lines for names, personalized messages and more. 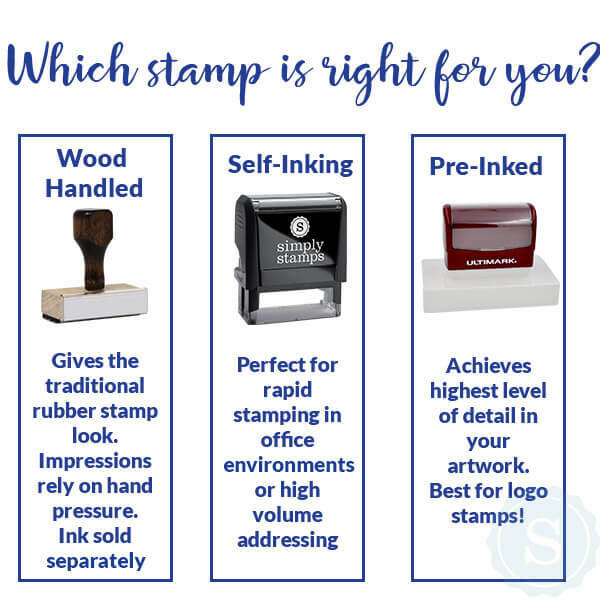 At Simply Stamps, it's virtually impossible not to find exactly what you're looking for, because our Custom Line Stamps can be personalized to say whatever you'd like! This bold and sophisticated design works great in the workplace, but you can personalize your 4 lines with an address, a custom message, or just about anything else. Satisfaction is guaranteed, so start designing now! Most orders ship the following business day.